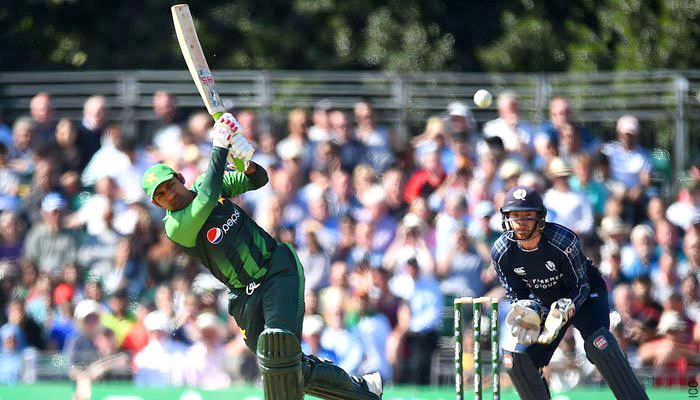 EDINBURGH: Pakistan has on Tuesday defeated Scotland by 48 runs in first T20I of the two-match series. 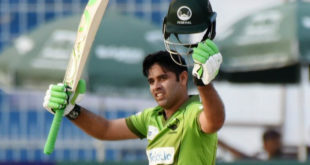 Batting first, Pakistan set a mammoth target of 205 runs with skipper Sarfraz Ahmed scoring quick 89 on just 49 balls. Shoaib Malik also made useful contribution of 53 runs on just 27 deliveries. Scotland – who cruised to 53 runs in just five overs – succumbed in second half. Wickets in regular intervals restricted Scottish innings to 155 runs. Shadab Khan took two wickets in allotted four overs. Chasing the 205-run target, Scotland could only score 156 at the loss of six wickets in 20 overs. Michael Leask hit 38 and Kyle Coetzer scored 31 for their side. Shadab Khan and Hasan Ali took two wickets each, whereas Mohammad Nawaz and Mohammad Amir dismissed one batsman each of the opposite side. The second T20I will be played on Wednesday, June 13 in Edinburgh.